This year, the SciELO Program is celebrating 20 Years of regular operation, promoting the strengthening and development of national research communication capacities and infrastructures through nationally published quality journals. SciELO fulfills this task by allying the conditions and priorities of each journal and its respective subject areas to the international state of the art. Over its 20 years of operation, SciELO has always relied on the support of the Brazilian Association of Scientific Editors (Associação Brasileira de Editores Científicos – ABEC) and vice-versa. Based on their identities and functions, ABEC and SciELO operate in partnership for the improvement of Brazilian journals. It is worth remembering that the meeting between Abel Packer and Rogerio Meneghini that led to the founding of SciELO occurred at an ABEC meeting in 1996. In the celebrations of its 20 Years, SciELO is giving special emphasis to the relevance of quality journals that are edited nationally and their insertion in the global flow of scientific information, particularly in alignment with the best practices of open science communication. These are positions shared with ABEC. 1. From your point of view, how do ABEC and SciELO complement each other in the improvement of Brazilian journals and in promoting policies that recognize the key role played by Brazilian journals? ABEC and SciELO have key roles in promoting policies aimed at the advancement of Brazilian science regarding production, dissemination and internationalization, as well as always bringing to discussion topics such as ethics and best practices, aiming to foster the entire Brazilian publishing ecosystem, i.e., from the researcher/author through service providers, until its publication. “We must emphasize that publication is the researcher’s goal. And when this publication happens in a relevant journal, it’s like scoring a goal in an important stadium in a decisive match under the eyes of the whole world.” In this way, the synergy between these two institutions is a model worth exporting to other countries that form the SciELO network, since ABEC has already changed its statute and editors from other countries already participate effectively in our Association. 2. ABEC now has about 700 associates and an intense program of activities, events, and services to support journals and a growing relationship with international institutions in support of scholarly communication. Is there any other country in the SciELO Network with an association of scientific publishers such as ABEC? What are the main reasons for ABEC’s success? Today, after more than 30 years since its founding, ABEC has reached its maturity. The responsible management made by the last administrations was essential for this achievement. We invested in the acquisition of our own headquarters, in the informatization of the whole contact systems with associates, in dissemination tools through the Internet and social media, as well as partnership with companies to provide international services at competitive prices to our editors and researchers. The virtual presence of ABEC has been paramount for the updating of our public and the holding of annual events with the participation of speakers from other countries has proven successful since rights and wrongs are shared. Moreover, our Association has a multiprofessional audience. This fact avoids possible conflicts of interest that we often see in other learned societies. There is no competition, but a great cooperative teaching and learning environment that occurs within the ABEC family. 3. SciELO is promoting the adoption of best practices of open science scholarly communication. Among the main advances are the coexistence and interaction of journals with preprints servers and research data repositories. How is ABEC working on the alignment of journals with open science? ABEC is aligned with all the changes that have been taking place in the world market of scholarly publishing. Of course, many of them are worrisome because the future is uncertain, but we have formed a solid foundation in order to face these new times. An example of this is the Crossref representation in Brazil. It has already made possible the adoption of the DOI identifiers for more than 1,300 journals that were on the margins of scientific dissemination. The adoption of anti-plagiarism tools is also part of this package and has helped disseminate best practices to improve our journals’ quality. Open science is an irreversible trend as it has been adopted by governments, editors and researchers. For large publishers, the challenge remains of aligning their business models with this paradigm. This is a topic that has been often discussed in our communication channels and events. 4. What are the main advances and challenges faced by Brazilian journals in the near future? The challenge of modernizing scientific publishing is worldwide. Since the first journals were published in the second half of the 17th century, its model was little altered. Currently, we are living in a transition time because the information and communication tools have changed the way man communicates. And consequently, how we communicate science and its discoveries. Of course, the way we have been doing it will not be the way we are going to do for years to come. In this scenario, SciELO plays a key role, since I believe that it has a primordial function in supporting Brazilian graduate studies system. The impressive number of daily downloads is the greatest example of this, since the articles published there are used for reviews, theses and dissertations, writing projects, etc. by our students. Unfortunately, not everything will be converted into future citations, but it is extremely necessary for this ecosystem to happen. And it must certainly continue as a public policy for education, research and development in Brazil. Finally, the presence of some Brazilian journals in the international scenario is clear. With its rising impact, they receive better articles. ABEC played a key role in this scenario over the last 10 years, helping to improve these journals and educate their staff. This is a virtuous circle that could be fostered by agencies such as Capes and CNPq with editorial policies that go far beyond monetary investment. Lecturer Professor of Venomous Animals: Accidents and Toxins (FMB-UNESP 2016). Assistant Researcher of the Center for the Study of Venomous and Poisonous Animals CEVAP-UNESP. He graduated in Veterinary Medicine from Universidade Estadual Paulista Júlio de Mesquita Filho (1999), holds a Master and a PhD degree in Tropical Diseases from the Faculdade de Medicina da Universidade Estadual Paulista Júlio de Mesquita Filho (2003 and 2005), and a Post-doctorate in Immunochemistry at Instituto Butantan-FAPESP (2006-2008). He did a Specialization in Poisonous Animals (FMB-UNESP 2000-2002); in Toxinology (CEVAP 2000); and in Distance Education Management (UFJF 2003-2004). 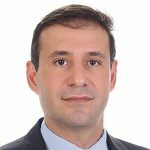 Ferreira Jr is a Professor and Advisor of Graduate courses in Tropical Diseases of Faculdade de Medicina de Botucatu (UNESP) and Graduate course in Clinical Research (FMB/CEVAP). He is a Member of the Board of the Graduate Program in Tropical Diseases of FMB/UNESP; member of the CEVAP/UNESP Deliberative Council; member of the University Council of UNESP; member of the Central Chamber of University Extension of UNESP; and alternate member of the Central Research Chamber of UNESP. He is the leader of the Fibrin and Stem Cells Sealant Research Group (CNPq), member of the Board of Directors (2008-2016) and President (2016-2018) of the Brazilian Association of Scientific Editors; member of the Brazilian Society of Toxinology; International Society on Toxinology; the Brazilian Distance Education Association; and the Brazilian Association of Scientific Editors. Ferreira Jr is an ad-hoc Advisor at FAPESP and member of the Advisory Committee of CNPq Brazilian Scientific Journals and member of the SciELO Brazil Advisory Committee. His main areas of expertise are: Biology, Medicine and Veterinary Medicine, with emphasis on Translational Medicine, Toxinology and Management of Accidents with Poisonous Animals, as well as Distance Education. His international experience regards to visits to Centers, Institutes and university laboratories in Europe (2011) for Bioprospecting, Drug Development and Clinical Trials. He is currently the Executive Coordinator of CEVAP-UNESP.